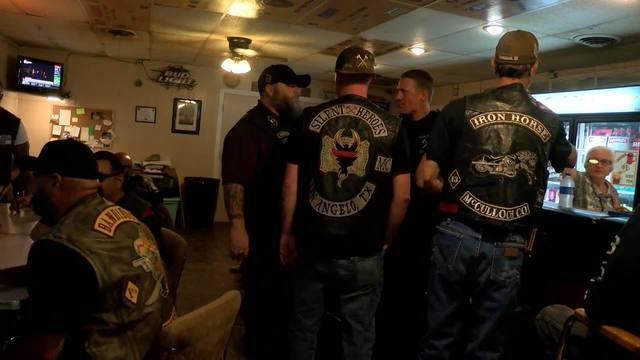 San Angelo, Texas (September 19, 2018) BTN— Motorcycle Clubs are breaking the "Outlaw" stereotype that has been pinned to them. The club manager at San Angelo's Veterans of Foreign Wars (VFW), Janet Sheppard, says, "I've been asked many times why I let the motorcycle clubs hang out at the VFW. 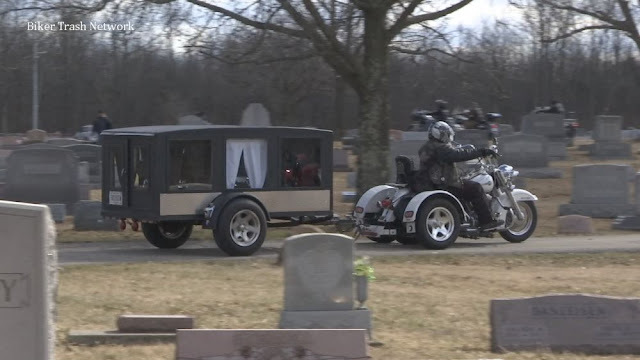 Most of the times the people in these motorcycle clubs are either active duty or veterans, and the VFW is there home." Non-members of the American Motorcyclist Association, and incidents, such as the shootout involving motorcycle club affiliates in Waco, Texas, are some of the things that created the outlaw stereotype of motorcycle clubs. The president of Iron Horse MC-McCulloch County, "Iron Horse Preacher", says, "To overcome something like Waco, we just have to work and show the community what happened. There was an isolated incident. Those Confederation of Clubs and independent meetings like that — we've been doing this for over twenty years, we've never had an incident at any of them, until that one." To prove these incidents are individual issues rather than club-associated issues, they involve themselves in different fundraisers and give back to the community. A member of the Silent Heroes MC, "Squirrel," explained "in July, we did a BBQ benefit at the VFW. Every year we go to Shannon and we go deliver toys to the kids." Besides fundraising for events, they are also politically involved. President and Founder of Ponderosas MC, Gypc Serna, says, "We are trying to get motorcycle profiling an amendment on the Texas state constitution." Members say police pull them over due to their outfits. Profiling also comes from establishments around town. "There are several in San Angelo, that you can't wear any of your colors in," says Preacher. So people might ask, why the club? Why not just ride? "It's the unity of the club, it's the structure of the club," says Preacher. "A lot of the guys that are in clubs are ex-military because they miss that structure that they had in the military." The clubs call themselves a brotherhood and sisterhood. They enjoy the comradery the organization has to offer. "If there was ever any trouble in here," says Sheppard. "I feel certain that I would be protected, first of anyone."